Lend a helping hand and go beyond the call of duty. 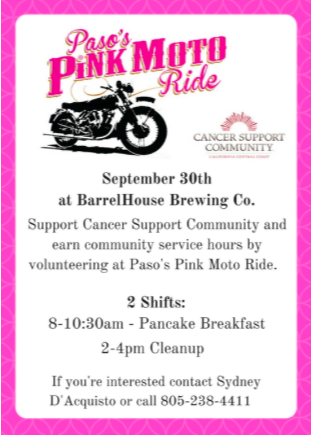 Where: Barrel House Brewing Co.
​ The Pink Motor Ride is held annually in Paso Robles to raise money for the Cancer Support Community. This year our members helped with the pancake breakfast in the morning and clean up in the afternoon at this event. 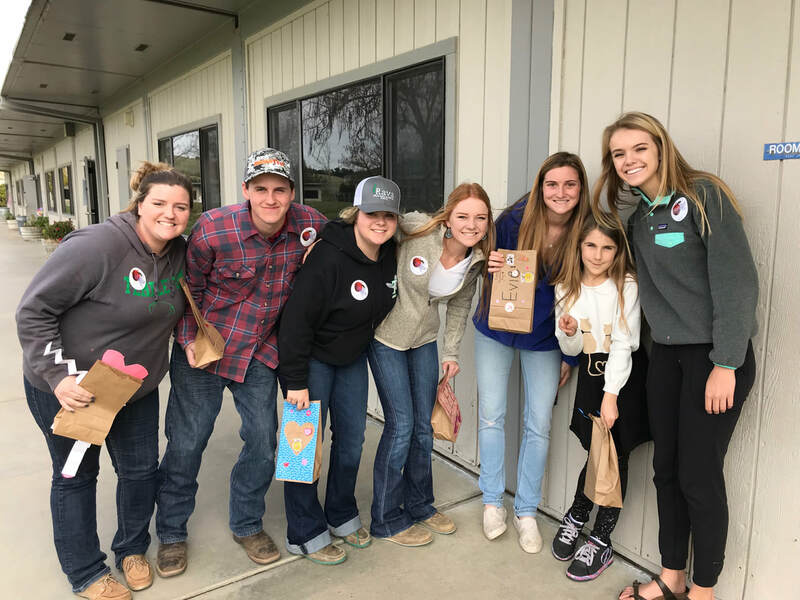 FFA members volunteered in the morning at Cheesbourough farms to help teach elementary school students about agriculture. The kids learned how a pumpkin grows and about all the different types of pumpkins and gourds. Where: Templeton High School Ag Dept. ​With all of the natural disasters in the state of California that occurred this last fall out chapter decided to join the efforts in supporting the victims of these awful tragedies. As a whole we donated over $250 to buy new basic items for them and many food items were donated by the community. 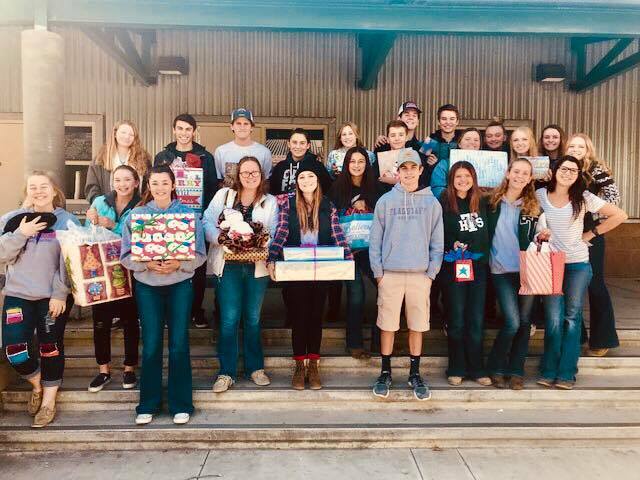 Each member in our Ag Leadership class adopted a foster kid in our community who had a specific list of gifts that they wanted for Christmas. The class had no idea who the kids were but were able to get each child the gift that they desired for Christmas. Make Templeton clean again. All students form the High School can participate in this community service opportunity put on by our FFA chapter. Each high schoolers who participates gets a free Templeton FFA shirt. The clean up stretches out entire Main St. and some of our other main roads. ​This year our leadership class decorated 30 brown paper bags with the names of every special needs kids in our districts names written on the front. We filled the bags with Valentines day candy and Valentines themed toys . Then we went to each school on valentines day and hand delivered the treats the kids were so happy to get their gifts.